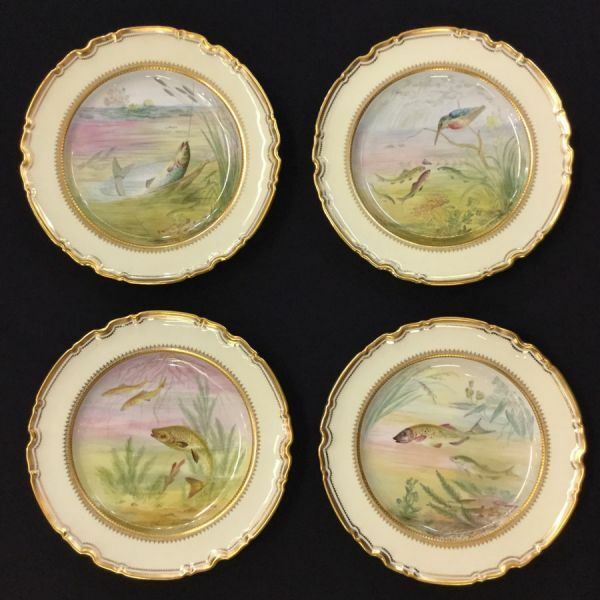 Copeland Spode fish service for 12. 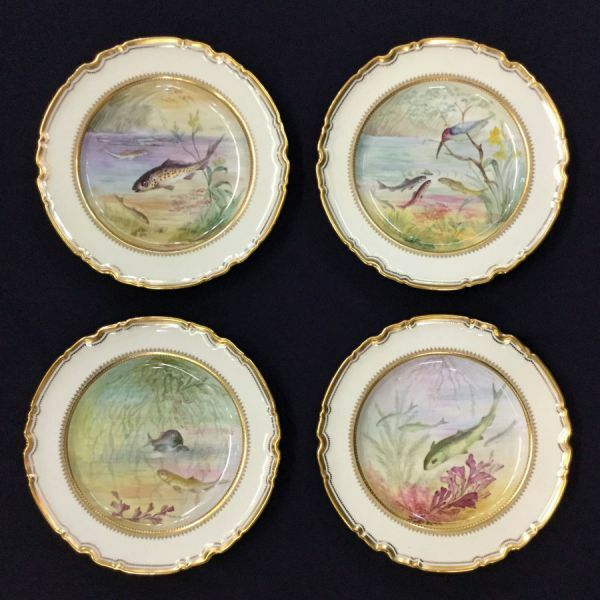 These Edwardian era cabinet plates with aquatic scenes are all hand painted on bone china. Every fish or crustacean is different. 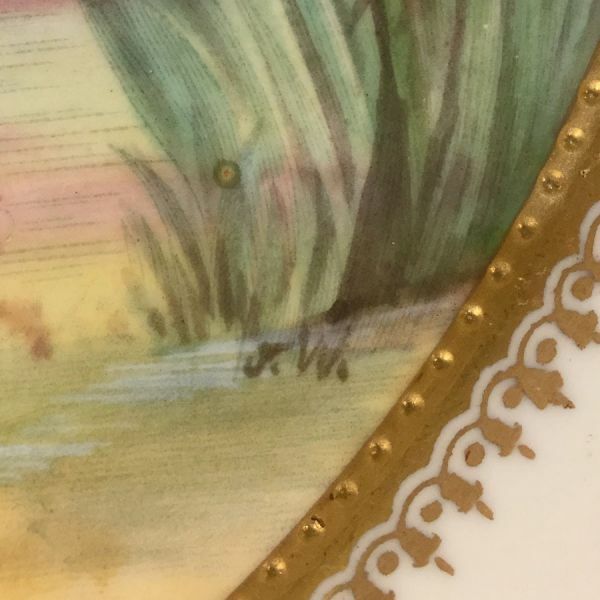 A few of the plates have birds as well. There are no repeats in design. 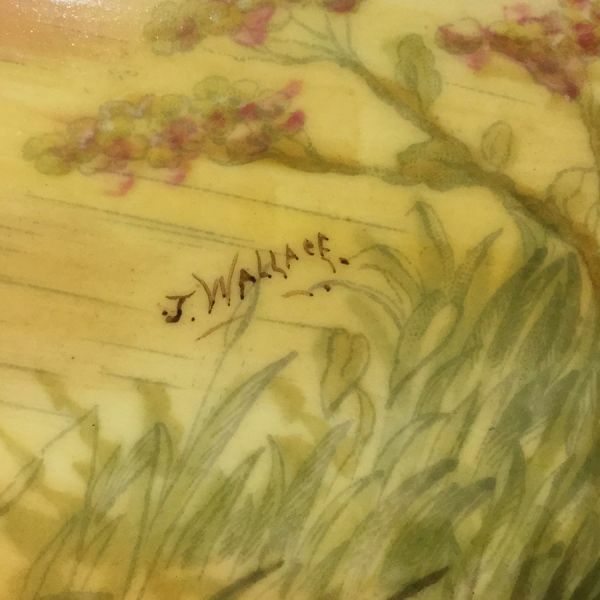 They are signed or initialed J.W. or J. Wallace. The registration number of the design is #425458, dating the design to 1904. 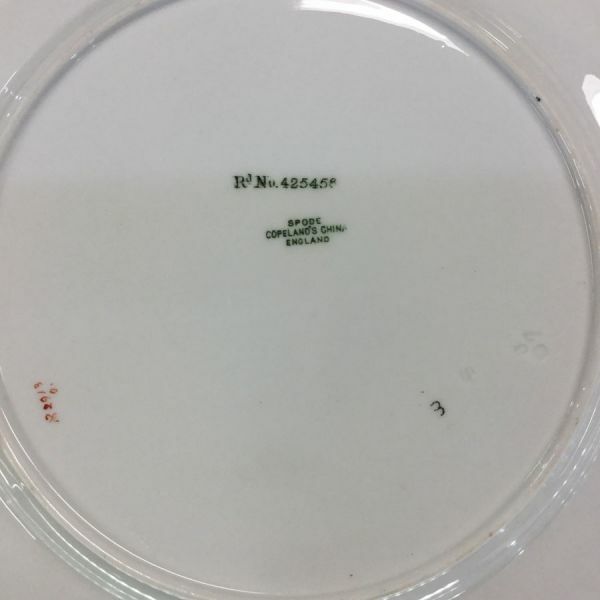 $6000 for the set of 12.